Palazzo d’Accursio is one of the main historic buildings. 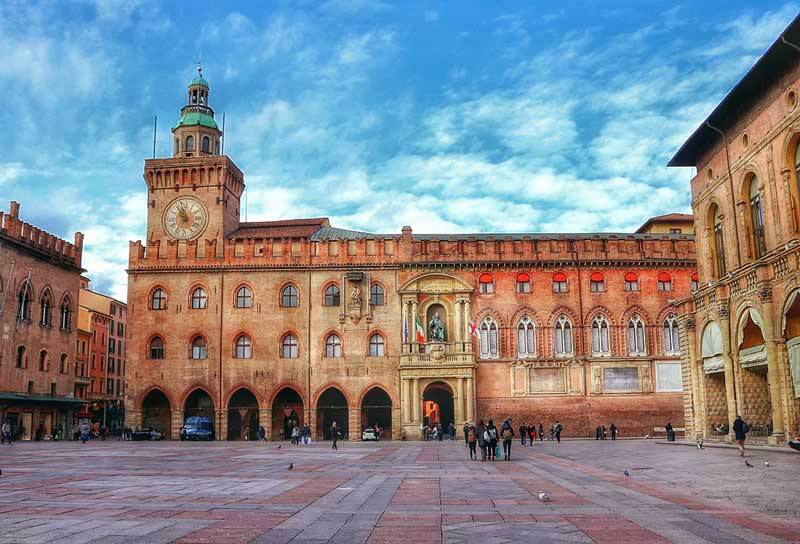 Do not miss for any reason such an important place in the history and tradition of Bologna! The suggestive architecture and the location, face right on Piazza Maggiore, make it one of the most significant places in Bologna. In addition to home the city government, Palazzo d’Accursio also houses the Collezioni Comunali d’Arte museum . 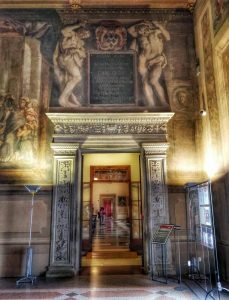 If to admire his façade isn0t enough you can visit it from the inside, in this case do not miss to see the Sala D’Ercole , the Sala del Comunale, the Sala Farnese and the Cappella Farnese. The beautiful Sala d’Ercole takes its name from the work of Alfonso Lombardi and is part of the oldest section of the building. In addition to its architecture, the hall attracts visitors due to the beautiful works of art on display. The room called “Red” for the color of the tapestry was the place reserved for meetings of the city Senate. Now this beautiful hall is used to officiate weddings. The finely decorated barrel vaults make it a wonderful location for such a special event. The Farnese room was formerly known as “Reggia” is on the second floor of Palazzo d’Accursio and dates back to the same period as that of Ercole. The walls are decorated with magnificent frescoes that narrate the events that have marked the ancient history of Bologna. The Farnese Chapel opens on the room. 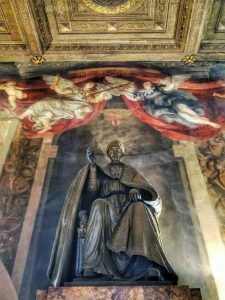 Inside the frescoes of the celebrated mannerist Fontana stand out but the fame of the chapel derives from the historical importance that this place covers. In fact, in 1530, Charles V was crowned King of Italy. 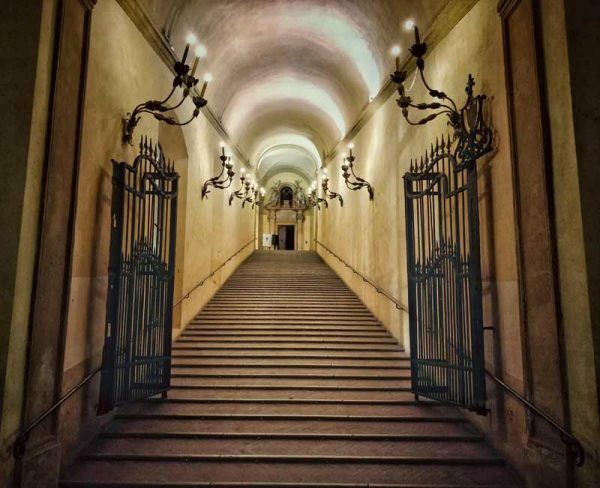 On the second floor of Palazzo d’Accursio we find the Collezioni Comunali d’arte Museum in the rooms that were once reserved for the Pontifical Legates. Since 1932 the collections have collected objects donated to the city of Bologna that include not only paintings and sculptures but also furniture and accessories from the nineteenth and twentieth century. This building has a sad place in modern history since it was in 1920 the place of a civil clash that took the name of the Strage of Palazzo d’Accursio. It was November 21 when the fascist action teams embarked on the attack, precisely during the inauguration ceremony of the new city council. The raiders fired on the crowd which met in Piazza Maggiore and some hand grenades are thrown inside the palace, the tragic toll stands at 10 dead and 14 wounded.